I remember stamp collecting as a kid. I didn’t have the patience to do much, but we would buy boxes full at yard sales… then we would start to sort the, I’d get bored, and we would just have boxes full. You are an adorable child grown up. Collecting, appreciating, for the beauty was your value. Is your value. thanks, it was, and is, you are right. sweet hours of happinness for you I guess! 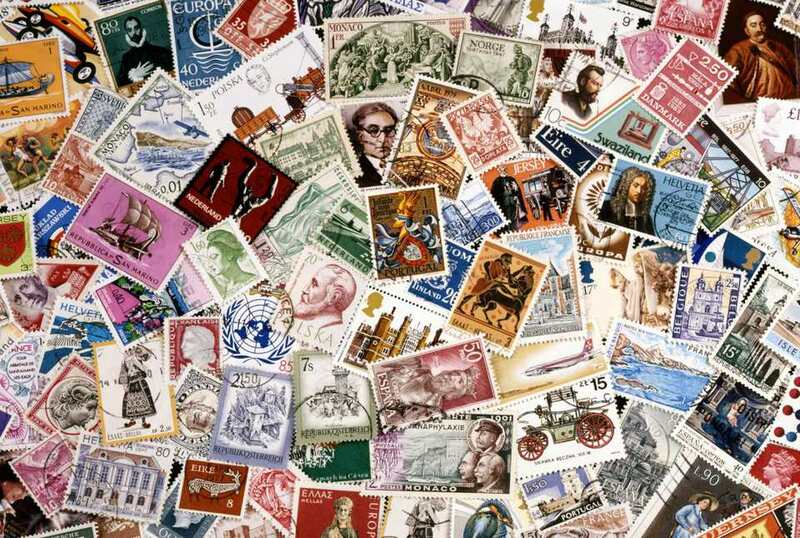 My box of stamps was full of dreams of then impossible places to go – I guess they were the web of my childhood, the possibility of browsing those small coloured pieces of paper and the touch and smell each one of them had – the ultimate internet surfer’s dream! I think your version of collecting–not the “criminal” part, but the doing it for beauty and what you like–make so much more sense (to me) than collecting only for value. Beth, you may have been hacked. This is what I got this morning. Oh, I love this! I just heard a story from Vicki Robin (“Your Money or Your Life”) about how she went to a toy store as a little girl and stacked up boxes of doll clothes and walked out with them, because she didn’t realize you had to pay for things. Part of me wishes we could stay those girls who lick the stamps and walk out of the store with whatever we want. Maybe we can! Collecting for the aesthetic pleasure, not the value…the right way to do it! Too funny..I collected as a kid as well..had the book and the tweezers..used to trade them on the bus ride to and from school…HAHAHA..remember the triangle stamps? I used to save special things in a scrapbook! I sold my book to an antique store man. It had all the TV Guide covers, Betsy McCall and her baby sister and I throw stamps from places in almost every drawer but just cut them off the envelopes. They were pretty but have been stamped as routed through the post office. A beautiful story of art, family, memories, bravery, and collecting – all from stamps. Wonderful! I am just about to start collecting stamps….probably (I am conflicted) but your post helped seal the deal. Thank you.